What's at stake for Detroit's workers and retirees? Current and retired city employees have been bracing for deep cuts to their pensions and retiree healthcare benefits since Detroit's bankruptcy filing last summer. As early as this week, Detroit's workers and retirees will be one step closer to learning the fate of their retirement benefits. Tens of thousands of current and retired city employees have been bracing for the possibility of deep cuts to their pensions and retiree healthcare benefits as the city's emergency manager, Kevyn Orr, prepares to release the city's plan to emerge from bankruptcy. While the plan is expected to detail everything from what to do with the city's valuable art collection to how much to pay bondholders, the greater focus will be on how much money worker pension funds will receive from the ailing city. Orr has previously said that the city's pension hole makes up around $3.5 billion of its $11.5 billion in unsecured debt. "Everyone's on pins and needles. We have zero control of this, which is pretty frustrating," said 43-year-old Detroit firefighter Dave Miller. "Planning for the future is very difficult." Actually getting the plan approved could take months, however. It will still have to go through a vote by the city's many creditors, including unions and pension funds, and ultimately gain approval by bankruptcy judge Steven Rhodes. Pension plans: One of the biggest fears among Detroit's retired police officers, firemen and other city workers is that their existing pension benefits will be cut. Meanwhile, current city workers may see benefits that they've already earned through years of service slashed. "They take your pension from you; how are you supposed to live?" said 62-year-old retired fire captain Arthur Versace, who has been searching for work since Detroit filed for bankruptcy in July. No municipal bankruptcy has ever resulted in involuntary cuts to pension benefits before. Opponents have argued that these benefits are protected by the state's constitution. But last year, Judge Rhodes ruled that federal bankruptcy law trumped the state's law, making cuts fair game. Yet, the prevailing belief is that the pension funds likely won't be hit as hard as some of Detroit's other creditors. 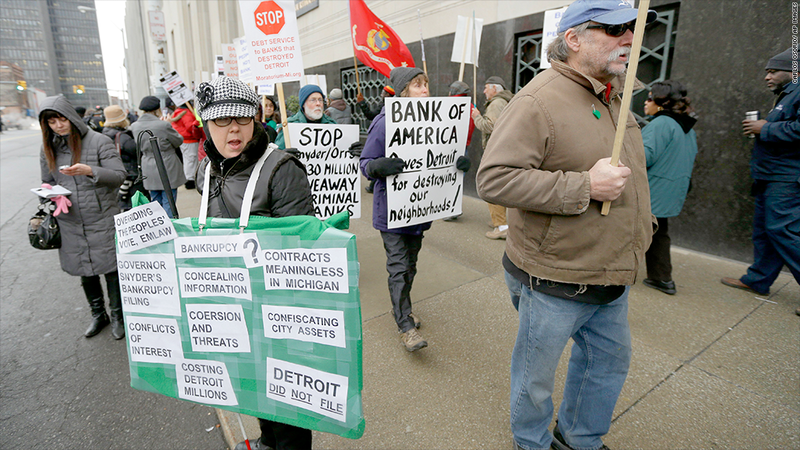 Bondholders, for example, knew they were taking on risk when they invested in Detroit's debt, said Lynn Brimer, an attorney representing the Retired Detroit Police Members Association. "(The retirees) in good faith performed their duties, showed up to work every day," she said. "Some of them put their lives at risk in the expectation that they would receive their pension." 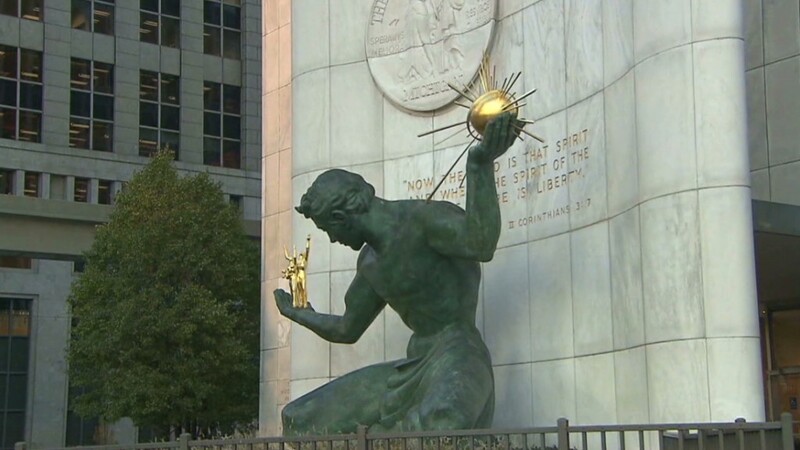 A group of private foundations have pledged more than $330 million in an effort to protect worker pensions as well as Detroit's art collection. Michigan Governor Rick Snyder has proposed that the state commit another $350 million towards the pensions, a move that would require legislative approval. Still, the funds are hardly enough to fill the entire pension deficit. Retiree healthcare benefits: Up until this year, Detroit provided health care coverage to retirees who were not yet eligible for Medicare, as well as a supplemental Medicare policy. The cost of providing that coverage accounted for about half of the city's unsecured debt. Starting next month, the city will stop providing coverage for retirees who are not yet eligible for Medicare and instead provide a monthly stipend that they can use to buy coverage through the healthcare exchanges or another employer. The city also agreed to increase stipends for certain retirees for this year, but it's unclear if those payments will be part of the city's bankruptcy plan. Versace, the retired fire captain, recently started researching options from his current healthcare provider. He was quoted a monthly premium that was more than double the $300 he currently pays, plus much higher out-of-pocket costs. "I know there has to be cuts somewhere, but if you're going to take my medical, don't take my pension too," he said. "If you cut my pension, how am I going to afford my medical?"